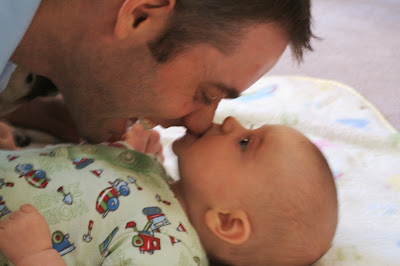 Guess it's time to feed the baby when he resorts to sucking on Daddy's nose! If you can't tell our pugs apart, this would be Stamp. 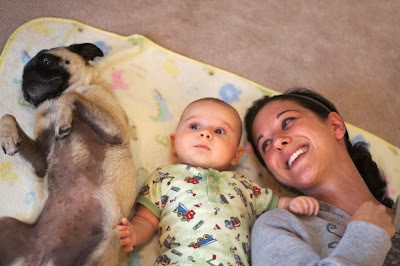 We figure she's showing Miles how to roll over. I couldn't resist getting in on the snuggling! 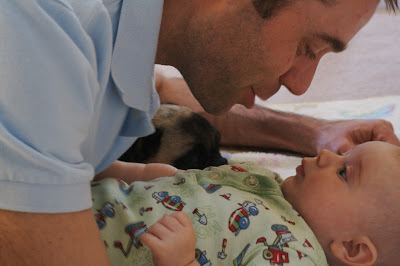 I love when they nurse your nose! It never gets old - ever, I promise. Miss you guys - take care! 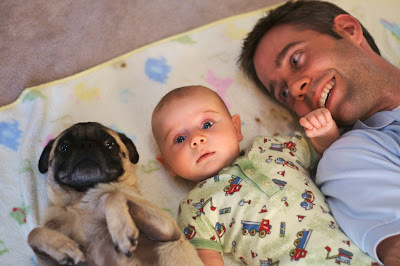 those photos with the pug are AWESOME!!! !